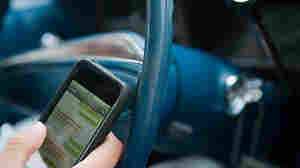 New York Wants To Know: Have You Been Texting And Driving? April 27, 2016  A bill in New York would allow police to examine drivers' phones to see whether they were using the device at the time of an accident. But critics are worried about privacy implications. 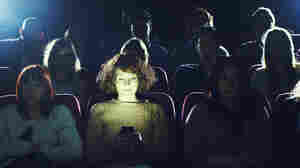 April 14, 2016  The CEO of AMC Entertainment says he is considering allowing texting during some movie showings at AMC Theaters. A good thing? Our pop culture blogger and movie critic weigh in. September 22, 2015  Plain old text messages — you know, the ones you don't need a smartphone to receive — helped people with heart disease make changes like smoking less and exercising more. March 27, 2015  In an effort to connect teenagers with mental health services, New York is testing counseling via text for high school students. They join a growing trend. March 18, 2015  So they do seem to get that texting is dangerous. But putting on makeup and contact lenses at 65 mph? No problem. Researchers in Oregon are trying to train teenagers on the risks of multitasking. December 3, 2014  Sure, you just wanted to take a peek at Facebook. But that can chill a relationship, especially if you and your love aren't on the same page about when it's OK to use technology. 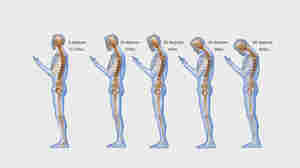 November 20, 2014  Newly published research finds that common texting posture can put as much as 60 pounds of force on the cervical spine. 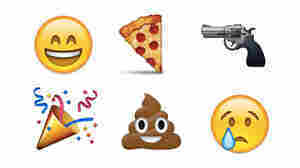 November 4, 2014  The Unicode Consortium had previously backed only one skin color, a yellow-orange tone it considered generic. But the group threw away that approach after a wide call for more variety. October 27, 2014  Working with the government, the Red Cross sends 2 million texts a month to people in Sierra Leone, reminding them to wash their hands, take their temperature and protect themselves from Ebola. June 6, 2014  For smokers hoping to quit, text messages with tips and reminders may be just as effective as phone counseling, a study finds. Texts doubled the success rate compared with people who didn't text. 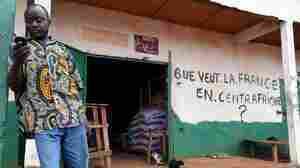 June 5, 2014  The poor country has been plagued by political turmoil and Muslim-Christian fighting. The government cut off texting amid a new round of violent protests and calls for a general strike. May 9, 2014  There was a time when teens would spend hours on the phone gabbing with friends. Now, that's the stodgiest behavior imaginable. 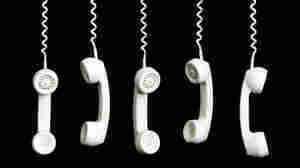 Even for older people, a ringing phone is an unwanted intrusion. March 18, 2014  Teenagers know they're not supposed to be indulging in risky behaviors behind the wheel, a survey finds, but they're finding it awfully hard to say no. Kind of like adults.